Throwback to the nightrace in STCC at Mantorp Park in 2015. Always exciting racing with fast pace and lots of action. 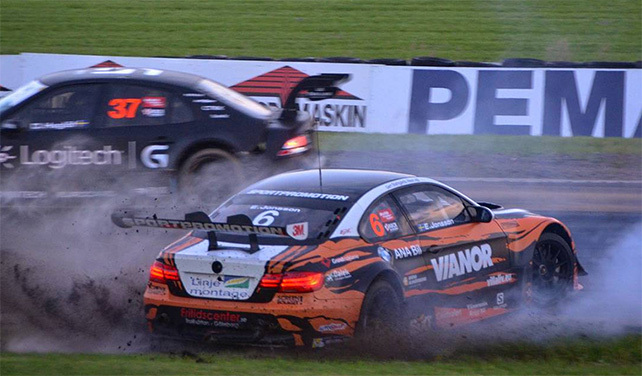 Erik Johansson’s BMW spun, but got running again. Daniel Haglöf in the black Saab is flooring it. Photo: Johan Åhlund.